I see the world differently after the White Men & Allies lab. And not only at work. I recently went to a UCONN event, where my recent training really made a difference in my approach. I was extremely comfortable meeting people from all over the world, and what I learned at the event was amazing. A gentleman from India opened up about his culture, sharing why it is viewed poorly to speak up. We had a fascinating conversation on how US culture demands people to speak up and rewards them for it –which contradicts beliefs he grew up with. I shared that experience with others at work, so they could understand the challenges that folks face when uncomfortable speaking up for cultural reasons. I thank the WMAA program for furthering my opportunity to engage with other great humans on this earth. The White Men & Allies Learning Lab I attended was impactful on so many levels. As a Black man, it ultimately allowed me to better understand how White men hear and interpret conversations around race. As a man, it allowed me to better understand the multitude of privileges afforded me solely because of my gender, and how women are detrimentally impacted in the workplace and in the world. As a husband and father, it allowed me to better “listen to understand” and lean-in to my vulnerability as a means of strength. I entered the process a skeptic, I came out completely impressed with the method and manner of the facilitation and outcomes that were achieved. 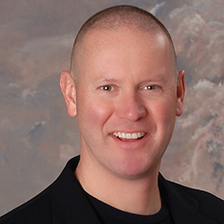 Bill Proudman has the rare ability to strike at core diversity issues in ways that leave lasting impressions. He surfaces issues that typically don’t get discussed in the workplace, and challenges biases and perceptions while opening minds and building a desire to engage on these topics at a deeper level. The White Men As Full Diversity Partners approach is professional and timely. The experiences are a direct link into how culture and differences affect workplace relationships and personal interactions. The facilitators leading the Learning Labs have their own style and their personal coaching is well received by participants. The program leaders tailor programs to connect participants from diverse backgrounds and work levels. Lab discussions are dynamic, and offer creative examples that apply to each individual’s cultural development journey. Having a sound inclusion and diversity foundation at Northwestern Mutual, the work and experiential learning has sparked discussions among our leaders that are helping us shape current and future actionable plans. White Men as Full Diversity Partners programs have had a tremendous positive influence on our culture. Through their facilitated experiential learning, we have been able to open up conversations that otherwise would have been avoided. These conversations have allowed us to better define and direct our organizational values and truly learn how to fully engage each individual. 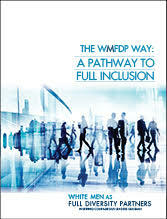 Through its Learning Labs, WMFDP creates a tremendous environment for engaging employees in open, honest, and active conversations about diversity and inclusion. A critical foundation is that diversity is not just based on what someone looks or sounds like, but what someone has experienced. These elements manifest themselves as diversity of thought. The Learning Labs have opened doors for on-going conversations that capture the richness that diversity of thought offers for our Company. Bill Proudman and his team have an extraordinary ability to bring to light the embedded biases we have toward others, and that others might have toward us. Even as a communication consultant and published author on the topic of interpersonal relationships, the White Men’s Caucus produced great insights into my beliefs about others, and how those beliefs drive my behaviors and attitudes. From a personal and professional perspective, the Caucus made me more sensitive and aware –prerequisites for success in today’s diverse world. The men and women who came back from the White Men & Allies lab were able to model among themselves how to have difficult conversations. They are doing things at a different level at work than they’ve ever done before.